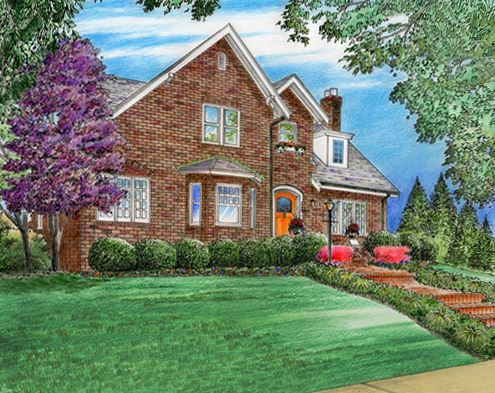 Explore my website, walkerstudio.net, where you can learn all about my house portraits (left). These are hand-rendered portraits, consisting of pen and ink, finished with colored pencils, markers, and/or pastels. Great for yourself, or as a unique gift!